The act of blessing is deeply rooted in the Biblical narrative and bears a wide range of meaning over our lives. 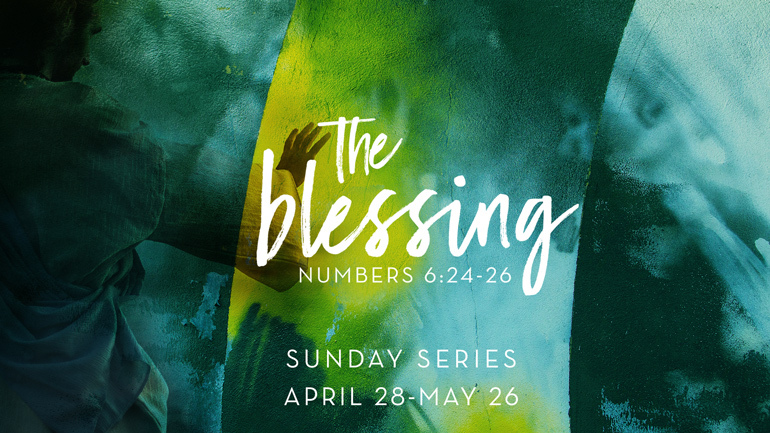 Join us in this series that takes a closer look into a famous Biblical blessing given from God to His people, found in Numbers 6:22-27. · When are your worship services? · What is happening for children and students? · What other ministries are available? · How do I get to Calvary? When are the Sunday Worship Services? We would love to see you at one of our Sunday morning services as we gather across cultures and generations to worship Jesus together. What is happening for children and students on Sundays? Calvary has a a unified spiritual formation ministry from crib to college. We want to partner with families to see the next generation have a vibrant life in Jesus. What is available for adults beyond the worship services? Join us for discussion and life application as we study together in this community of ladies who pray for and support one another. Come Sunday morning to pray before the Worship Service for God's presence and leading in our services and ministries. All are welcome. We discuss the Word to help us grow in our Christian walk in this fun and caring group of people who love the Lord and each other. An inclusive group who share life, faith and God’s Word in a way that is accessible to various learning styles and communication abilities. We focus on foundational biblical truths that make up the crucial components of developing spiritual maturity and discussion with friends. We encourage one another in prayer, glorifying God in worship, and studying God’s Word in this fun community of friendship and love. Come discover great friendship, fellowship and teaching to develop a more intimate relationship with God. This class seeks to grow closer to the Lord and each other through Bible study and fellowship. We love interactive discussion and laughter. Connect with others parents of college students and young adults as we share interactive Bible studies, praises and prayers, joys and struggles. We are here to help you connect more intimately with people at Calvary, grow in your relationship with God and reach out to others. For senior adults committed to understanding the Word and growing from studying Scripture in depth. Our group meets together to encourage each other in prayer, Bible study, and fellowship as we navigate through unique family challenges. We’re parents working on our own spiritual journey and exploring how our life stories impact how we parent, so we can better connect with our kids. Single women in professional careers meeting together to share life with one another through encouragement, prayer, and study. Connect with this encouraging community of singles and couples, ages 22 - 32, who study God's Word and walk through life together. In addition to LifeGroups, we have short-term series of workshops designed to equip you in particular areas of life. With these changes come new opportunities to get involved and help pursue our vision to be a church family that is better together, being changed by the Gospel to love like Jesus across all cultures and generations. We need help in many areas to make this happen and continue to build a warm and welcoming community. Will you consider joining one of these Sunday morning teams? Give of your time and make a difference in others lives! Take a next step and learn more about how you can serve somewhere this fall. Visit Connection Point in the Worship Center Lobby on Sunday mornings to learn more. Or, send an email to or follow the link below to discover more today. What ministries are there beyond Sunday mornings? What Happened to the End of Mark? This is the Calvary Life Podcast- where we share about life, faith, and God with people from Calvary Church.